You have no idea how excited I am to introduce you to SchoolhouseTeachers.com today and review for you the Yearly Membership they offer! SchoolhouseTeachers.com has been such a blessing to us even in the short amount of time we have utilized this resource. 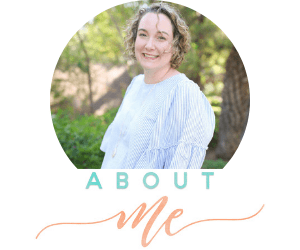 With their online classes, along with downloadable and printable elements, the yearly membership to SchoolhouseTeachers.com is a must for the overwhelmed homeschooling mama who doesn’t know where to begin. That’s just for Pre-K and Kindergarten! I LOVE it! There are EZ Storybooks to keep my four year old and two year old engaged in learning while I focus my attention on the five year old. Of course the younger ones join in with projects, but sometimes you just need something to keep the littles ones occupied. SchoolhouseTeachers.com to the rescue! 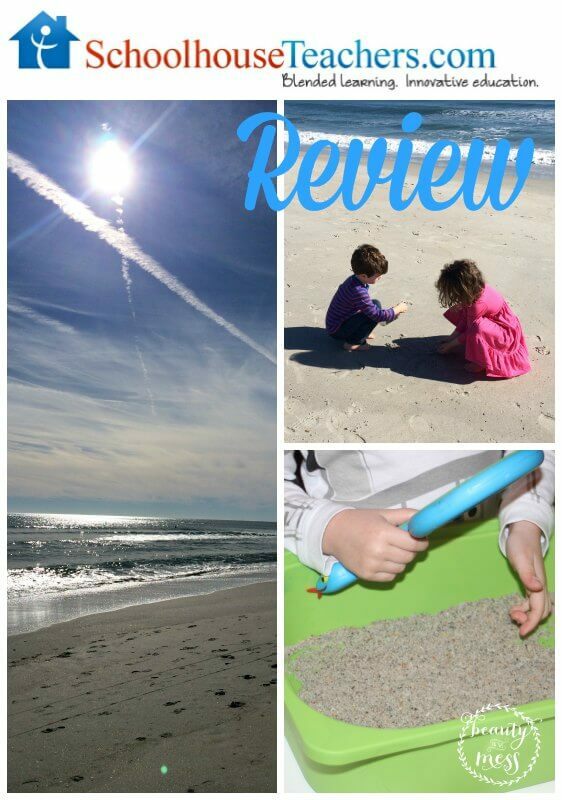 We started with what I knew my children would love – a nature study. Unit 1 lasts for four weeks and alternates between evergreens and sand. Living in North Carolina, we have both! The whole study lasts for 14 weeks and contains videos, as well as hands-on activities, informative websites, and journaling. The whole family can get involved, which I greatly appreciate. That makes life and homeschooling so much easier when everyone can participate in the learning activities. After several weeks of passing a stomach bug around, my children finally seemed to be well again. My husband was traveling for work, so we joined him. 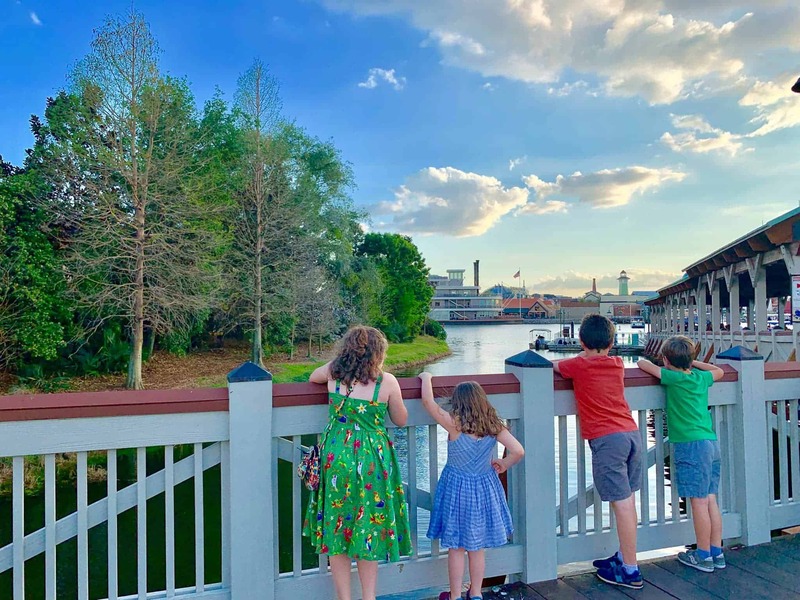 I debated on whether or not we could do homeschooling while we were away from home. Homeschooling is still so new to me. I decided we would try it out. 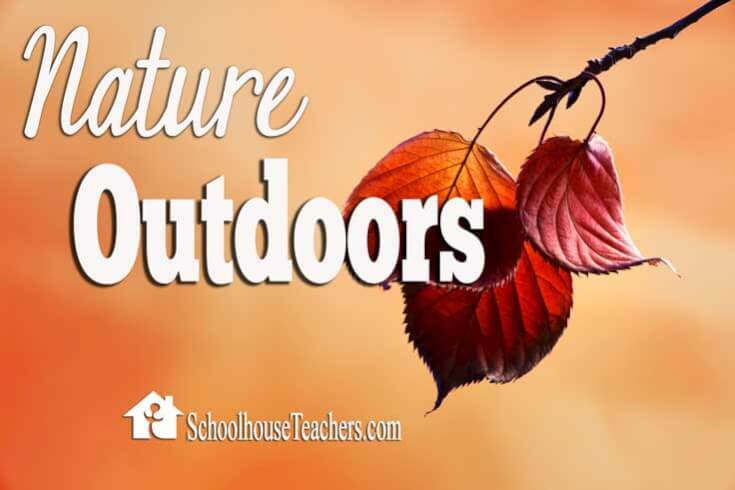 I looked over the lesson plans included in the Nature Outdoors Study and made sure we would stay on track. I love that SchoolhouseTeachers.com is online. I didn’t have to bring huge books with me on the trip. Space is a commodity in a family of six on a road trip. It was great! 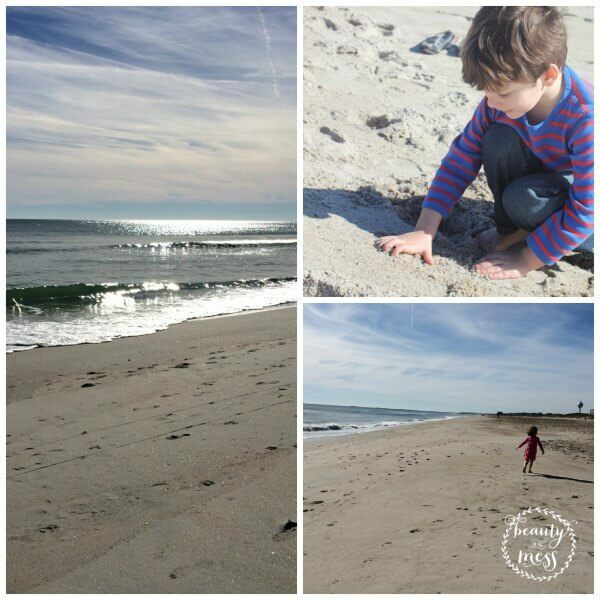 As part of the homeschool day, they explored the beach, looking for shells, digging in the sand, and running to the edge of the water, only the turn and run back to the sand. We talked about what sand was made of, and brought a bottle home so we could look at it closer with our magnifying glasses. Once we got home we started examining the sand. 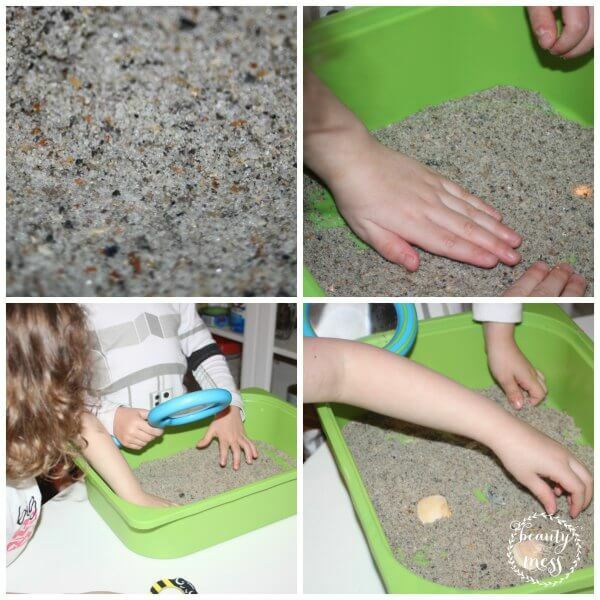 They were amazed at how there were well worn shells mixed in with the tiny granules of sand. While this all seems so simple, I was super thankful for the ideas and lesson plans I found on SchoolhouseTeachers.com. They kept me on track. So many times I wonder if my children are really learning anything. SchoolhouseTeachers.com holds my hand, in a way. I’m not creating new lesson plans on my own. I can even use it to supplement our core curriculum. 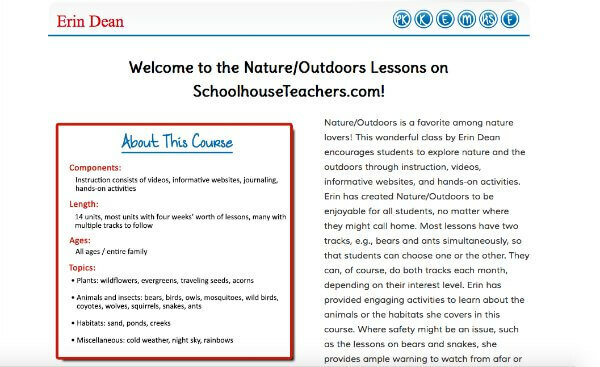 Even if you aren’t homeschooling, Schoolteachers.com is a great resource to learn at home over breaks or just plan fun activities throughout the school year. 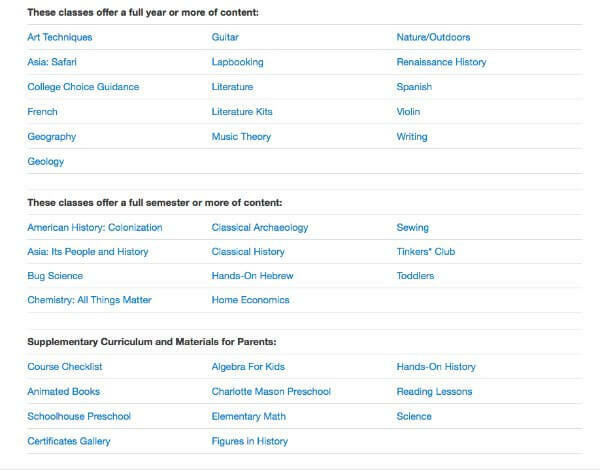 There are so many amazing courses found on SchoolhouseTeachers.com. I can’t wait to explore the art section. I may even take the photography course myself. So much good stuff. They even put together an introduction video for you to explain the site. It’s awesome! 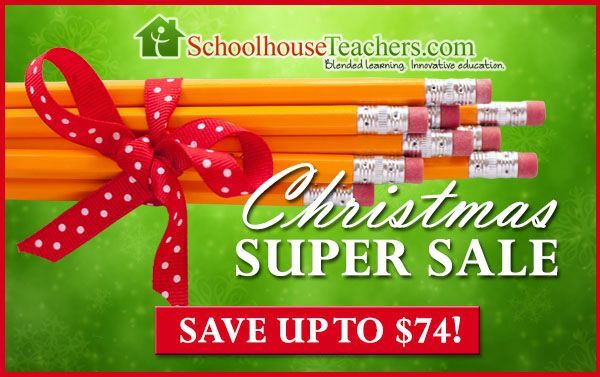 Right now, SchoolhouseTeachers.com is having a huge sale through Christmas Day at 11:59pm ET. The sale is 40% off the monthly membership ($7.77/month) or 50% off the Yearly Membership ($64.26/year). Homeschool families who join at this rate will keep it forever as long as they maintain a continuous membership. So really, you need to go here now and get it at that super low price. You won’t regret it.